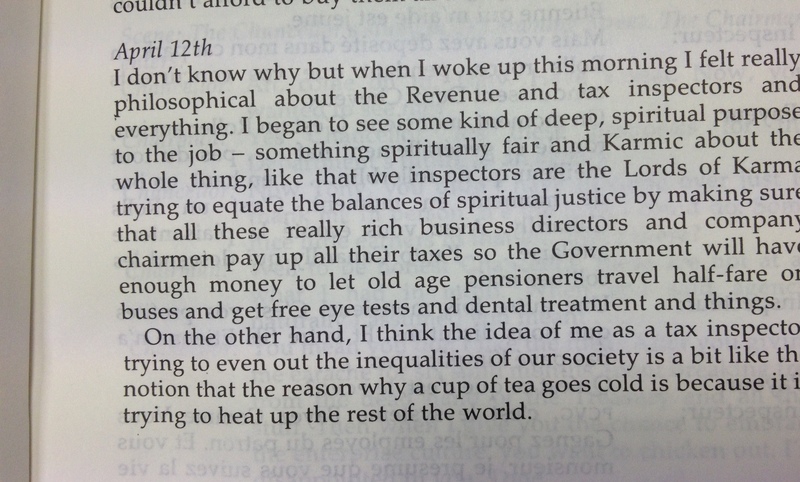 Your starter for ten today: whose diary is this? I’m disappointed you didn’t identify him, although to be fair you’d have to have been a former Inland Revenue FT Inspector of a Certain Age to recognise it. It is an extract from the Diary of AIT Rayan-Mole, published in Quarterly Record (the journal of the AIT and later USRO and then ARC union) for much of my career. He was a brilliant writer whose work saw me through much of my training and who taught me that you can write about tax, the universe and everything and still be both amusing and human. Quarterly Record – and, disclaimer, I edited it for a while – is a priceless resource for anyone trying to research the history of the Inland Revenue and the early years of its merger into HMRC. I find it astonishing it isn’t freely available online: at my last AGM I put forward a motion for this to be done. It was remitted to committee.